Understanding the dynamics of population recovery is particularly complex when an organism has multiple, remote breeding and feeding grounds separated by one of the longest known migration routes. 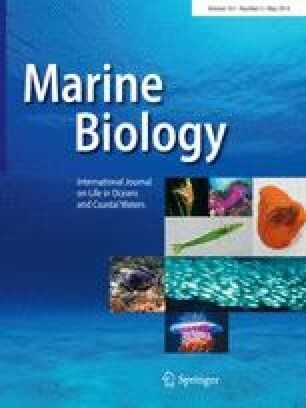 This study reports on the most comprehensive assessment of humpback whale (Megaptera novaeangliae) movements between remote Antarctic waters south of New Zealand and east Australia (EA), and the migratory corridors and breeding grounds of Australia and Oceania. A total of 112 individual whales were identified; 57 from microsatellites and 61 by fluke with 23 % (n = 26) matched to sites outside Antarctica. Despite large datasets from other southern regions being included in the comparison, the whales were predominantly linked to EA (n = 24). Only two matches to the Oceania catalogues directly north was surprising; therefore the primary feeding grounds of these endangered whales still remain unknown. The confirmation of the Balleny Islands as an important feeding ground for EA whales could provide an insight into reasons behind the rapid recovery of this population. Determining the feeding grounds of Oceania’s whales may explain whether prey energetics or migration length are limiting factors to their recovery and will allow an understanding of future ecosystem changes in these whales. Communicated by J. D. R. Houghton. The online version of this article (doi: 10.1007/s00227-014-2401-2) contains supplementary material, which is available to authorized users. The Australian and New Zealand Governments funded the AWE with the Australian Antarctic Division and National Institute for Water and Atmospheric Research providing excellent logistical support. CETA is funded by the French Government and IPEV. Thank you to the numerous funding agencies and contributors supporting the datasets that allowed this collaboration. Also, thanks to the reviewers who provided helpful comments that improved this paper. Data were collected in accordance with animal ethics and permit requirements.